Updated Monday February 23, 2015 by Shelton Flag Football. 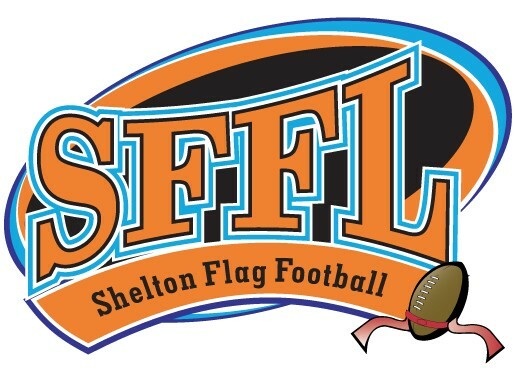 Shelton Flag Football (SFFL) has been teaching young athletes football since 1971. What makes SFFL so unique? This is a MODIFIED flag football league. This is not tackle football and is not a traditional flag football league. Players wear full equipment and are taught basic and advanced football skills conducive to their level of play. Proper blocking techniques, ball handling and other basic football skills are taught. This is a flag league but it is not a league without contact. Players do run block, pass block and are taught down field blocking. Tackling is not allowed. However, during the flag pulling process players can and do hit the ground. This brand of football is wide open and skill orientated. Many players have moved on from SFFL to play HS football as players, captains and State Champions. Some have earned All State Honors and one has even played professional football! The emphasis is to teach football in a fun and safe environment. We want each and every player to have a great football experience. We expect all coaches, game officials, teammates, parents and fans alike to all be contributors to this goal.